Every morning, you probably drive by a popular chain coffee retailer that has a line of harried Lubbock commuters sitting in the drive-thru line anticipating their venti “half-caff, double whip” latte. Really?! Yes, my coffee may fuel the start of my day at Woodrow House Bed & Breakfast, but once in a while I need to slow down & give some of my daily rituals a little more significance. 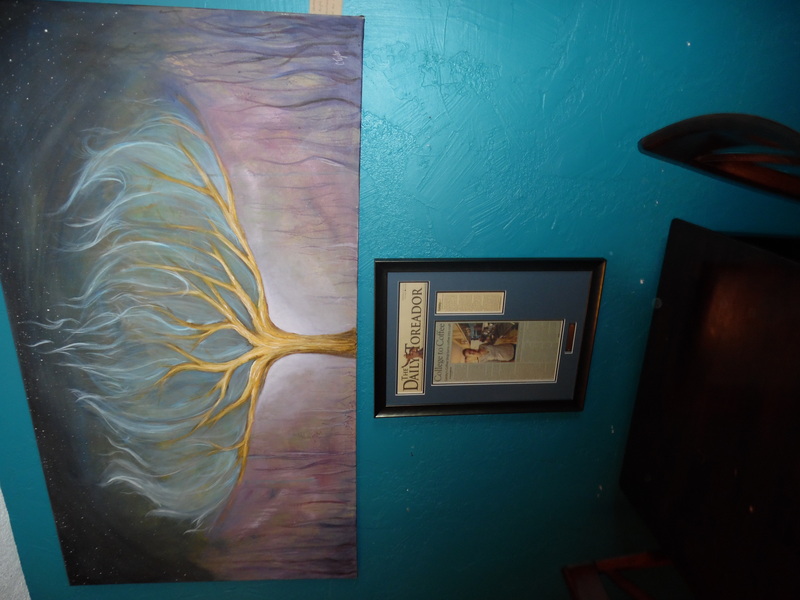 Hence, God created Gatsby’s Coffeehouse at Cactus Alley Courtyard! Okay, maybe He has more important things to do, but there definitely is a higher power who put events in motion & transformed Amanda Stewart from a restaurant employee into a newly-minted business woman three years ago. “All through college, I worked in various coffee shops, & I would envision how I would do things if I had my own place,” she said. She was working at The Bistro in early 2012 when a woman approached the owner with the idea of buying her shop, Buffalo Gal. She was ill & needed out from under the pressures of running a business. Amanda’s employer was not interested, but he knew Amanda had the drive & desire to take on the challenge & passed to paperwork on to her. The shop is named for Amanda’s Alaskan malamute dog, Gatsby, who, in turn, is named after one of her favorite books, “The Great Gatsby” by F. Scott Fitzgerald. The pooch’s face is now the calling card for her business. She carries the literary theme through by offering well-stocked bookshelves guests can enjoy while sipping their favorite beverage. The Texas Tech University graduate also hosts a monthly reading series during the fall & spring that is put on by the Texas Tech Creative Writing Department. 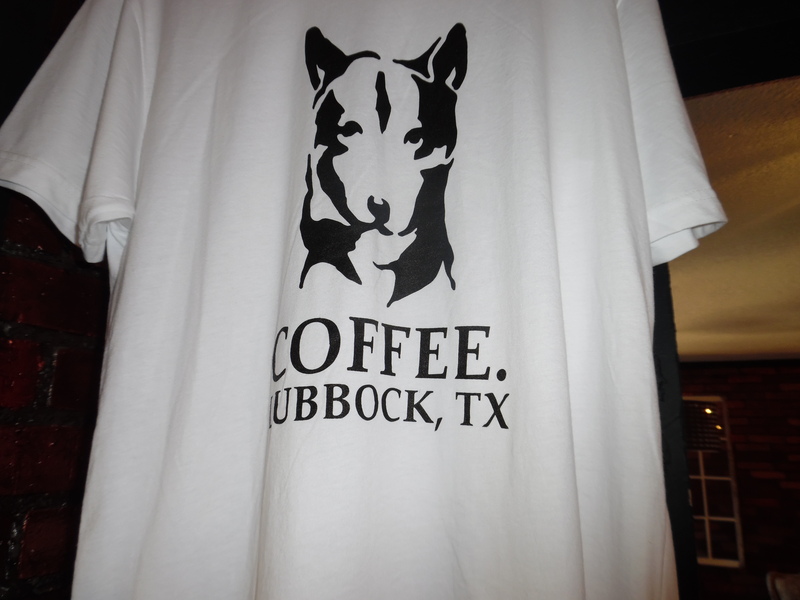 Amanda also has a passion for supporting other local Lubbock businesses, such as Simply Decadent Bakery. Owner Krista Bailey & Amanda were friends & had lost touch with each other. When they reconnected, they found their businesses were a match made in culinary heaven. Since that time, Gatsby’s pastries have been made from scratch by the bakery. In addition, local musicians are frequently featured in The Loft @ Gatsby’s, which is a weekend cocktail & craft beer bar that offers Texas beers & liquors, along with fun & creative cocktails in pre-prohibition style. Most cocktails are christened with literary titles in mind. Amanda also teams with other coffee-related businesses for special events, such as the Barista Throwdown League’s Latte Art Competition. The next competition is slated for Monday, June 8th, at 7 p.m. Her sweat equity paid off. 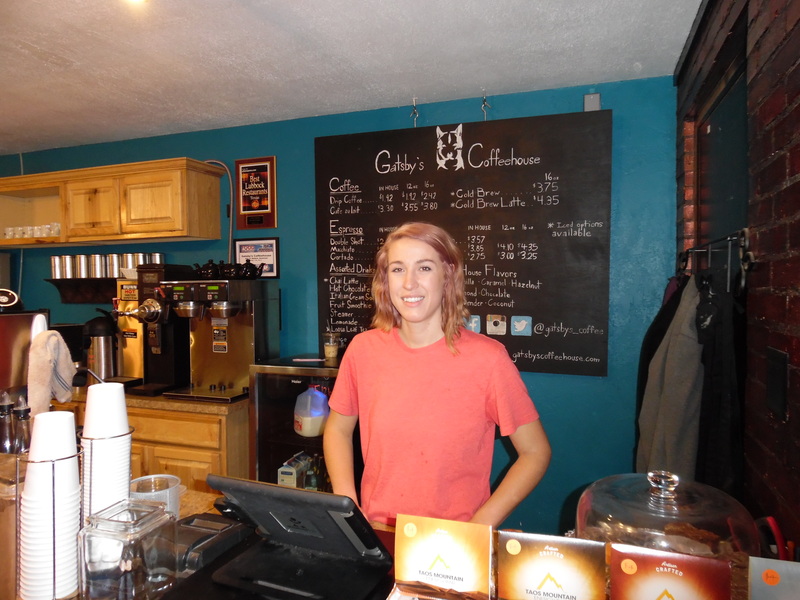 I can remember the very first time I walked in to Gatsby’s – I felt I had stumbled onto a wonderful recreation of Central Perk from the sitcom “Friends.” To the right of the door is taste bud nirvana – coffee, espresso, loose leaf tea & tempting treats. 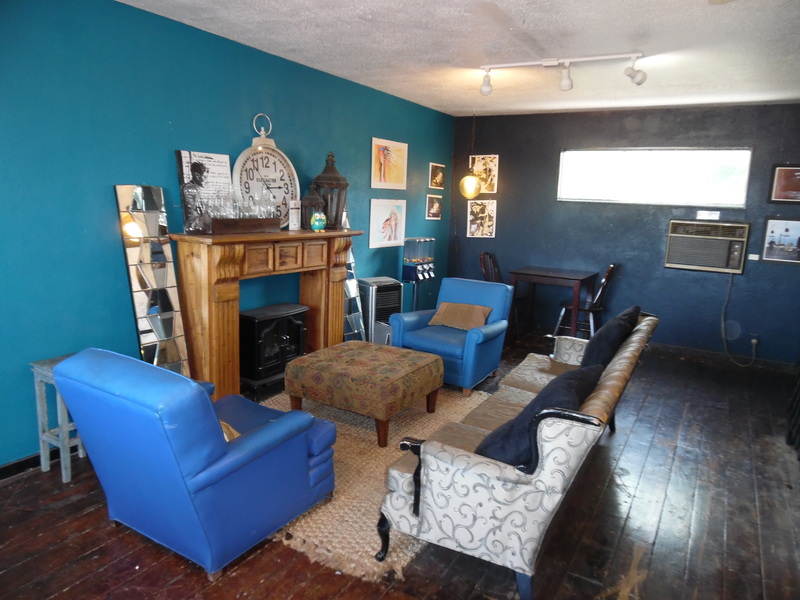 To the left is the cozy seating area & the stairs leading to The Loft. Outdoor tables are available on the upstairs patio & just outside the front door. When Amanda first opened, she was forced to hire friends since things happened so quickly, but her team remains close. A barista background is not required, as she prefers new people come to her with no preconceived ideas about how coffee should be prepared. 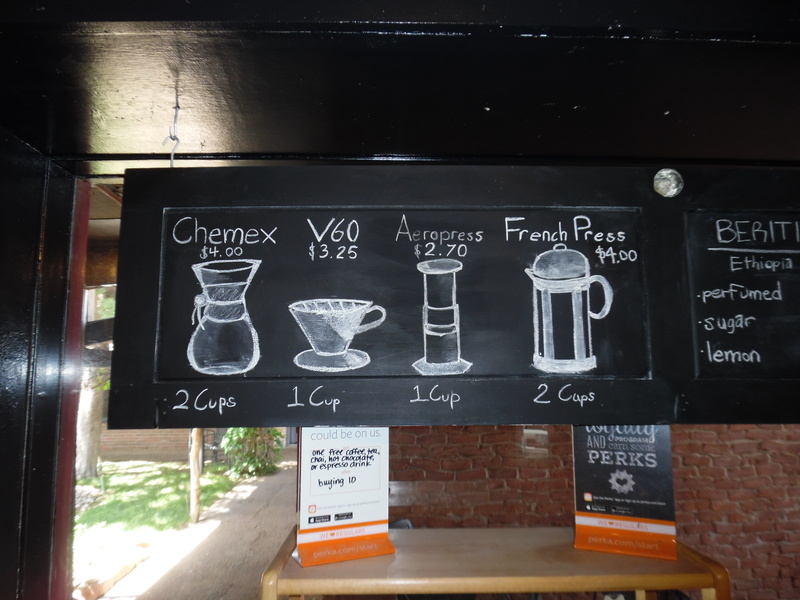 The brew bar features four basic processes: Chemex, V60, French Press & Aeropress. Amanda encourages customers to ask questions & explore different brewing methods. “We love teaching, we love teaching each other, & we love teaching our customers,” she said. All additional flavored syrups are created in the shop, including the two newest flavors – lavender & coconut. During the summer months, a cold brew iced beverage is available. Breakfast is served 8 a.m. through 11 a.m., Monday through Saturday, & 10 a.m. through 2 p.m. on Sunday. Lunch hours are 11 a.m. through 2 p.m., Monday through Saturday. The Loft is open only on Friday & Saturday nights from 7 p.m. through midnight, & coffee beverages are available until 9 p.m. on those evenings. 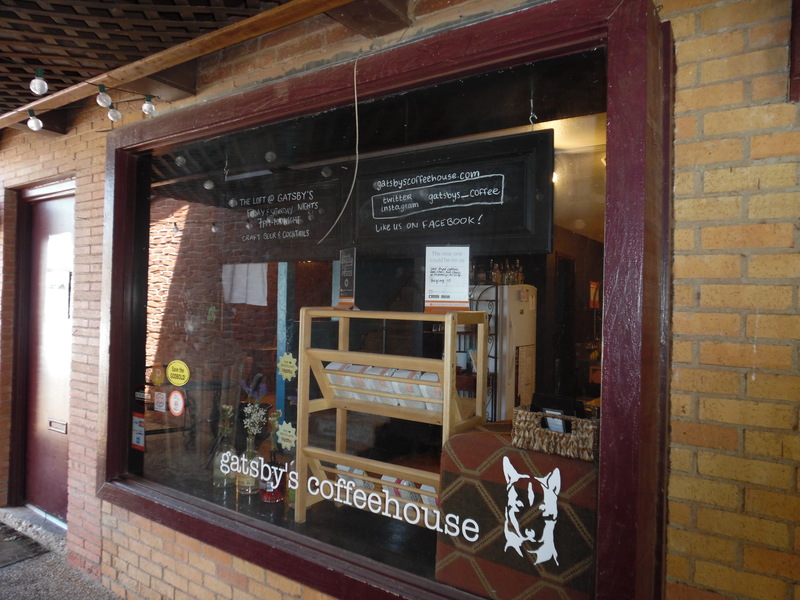 Patrons are encouraged to check the website, www.gatsbyscoffeehouse@gmail.com, for specials & schedule changes. Also, follow Gatsby’s Coffeeshop on Facebook, Twitter (@Gatsbys_coffee) & Instagram (Gatsbys_Coffee). 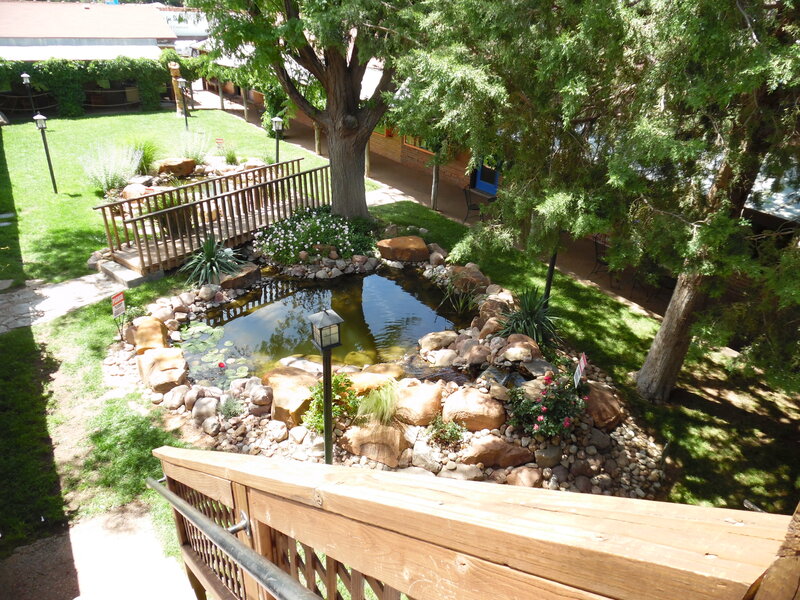 Even if you’ve had a big Woodrow House breakfast, take time during your stay in Lubbock to enjoy a delectable beverage at Gatsby’s Coffeehouse in Cactus Alley Courtyard. Likewise, Lubbock residents should slow down and treat themselves to one of the treasures that makes our city so special.